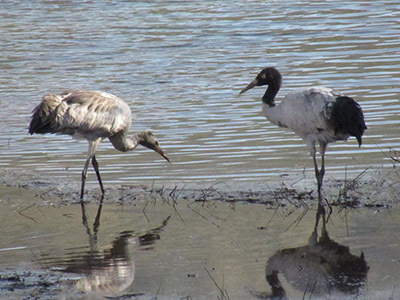 Two adult and one juvenile black-necked cranes were spotted at Nimlung in Tang Gewog of Bumthang yesterday. The birds were seen at the roosting area recently maintained by the Bumthang Territorial Division. This comes as a relief for the foresters since the number of the birds arriving in Bumthang has been declining. 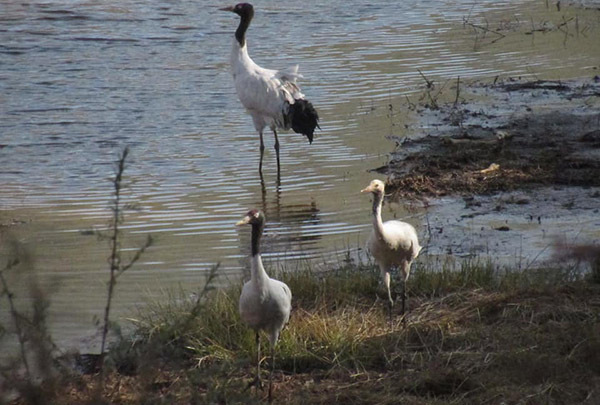 Only eight cranes arrived in the dzongkhag last year.